from hot forged steel and unique iron castings. Available in a variety of sizes to accomodate all. Please specify frame color and fabric selection upon checkout. 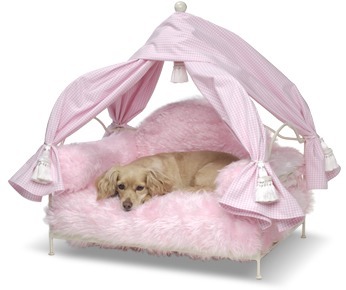 The Feather Canopy is the bed for your "Pampered Princess". Every detail of this bed offers the ultimate in luxury. 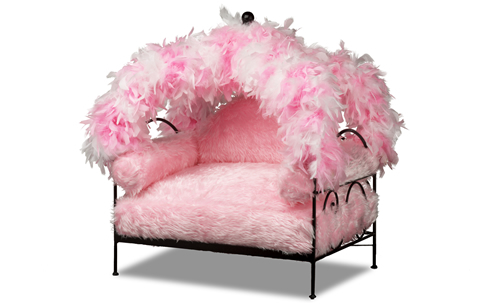 The pink and white Boa feathers beautify and accentuate the bedding. The soft and cozy bedding is fluffy, posh, pink Faux Fur. The sleeping cushion bolster is zipped, removable and is machine washable with cold water and line dry. Feathers are not washable. Colors available for frames-Vanilla, Black. Please specify fabric and frame color selection upon checkout. 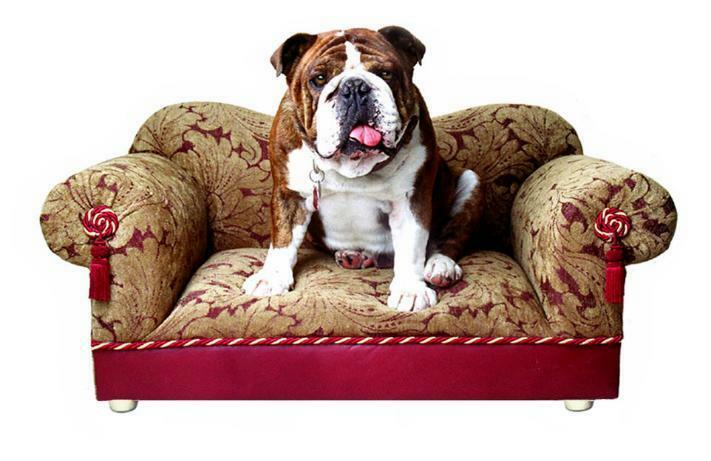 Luxurious line of pet furniture that is handcrafted. Each piece is constructed of an all wood frame, upholstered in elegant, yet durable fabric. 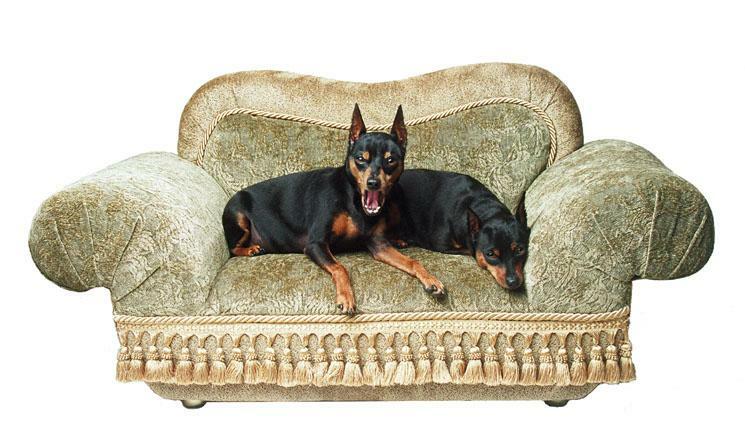 Created with the upscale dog in mind this beautiful furniture offers pampered pets a place to sit, sleep, relax and call their own. Shipping/handling charges are included in price. Please specify fabric choice on order. Shipping/handling charges are included in price. Please specify fabric choice upon order. 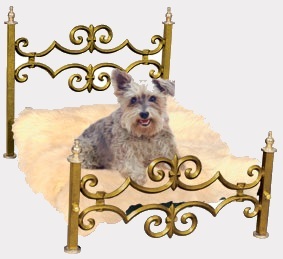 Palatial status in "pooch proportions". 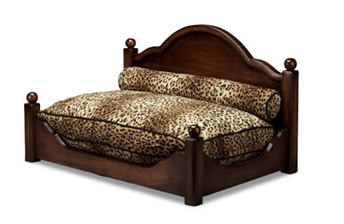 Hand crafted sleigh bed has the hallmarks of an impressive piece of furniture. With curved, sweeping arms, rich mahogany stain and cushions fit for aristocracy. This U.S. made, zippered, and machine washable bed is fit for your King or Princess. Fabric shown is Leopard. Please specify fabric color selection upon checkout. Hand crafted in Alderwood, the crisp, clean lines, complimented with soft curves, flows throughout the design of this bed. 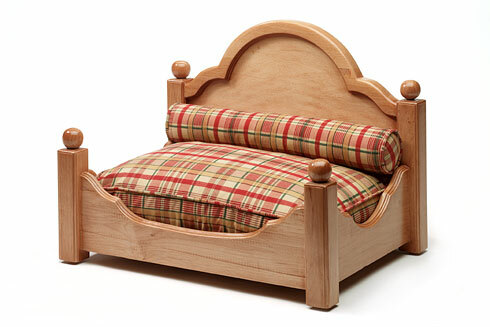 Created for leisurely comfort and designed to add beauty to any home, this bed features our Country Plaid fabric and is completed with a custom, natural finish. Of course the cushion, with hidden zipper is machine washable. 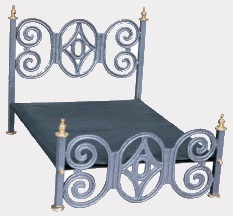 This bed also comes in an Antique White finish. Finish colors for frames available-Antique White, Natural. Please specify fabric and frame finish color selection upon checkout. Comfort PLUS Hygienic -The PetCot provides comfort and support for your Pet while not providing a breeding ground for bacteria and odor found in pillow beds. Wellness Care -Helps to prevent joint-related difficulties and cuts down on elbow calluses. 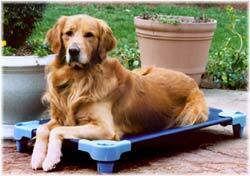 It is great for all dogs and cats and beneficial for arthritic and geriatric pets. The PetCot evenly supports your Pet unlike the filled beds that can clump and become uneven. Easy-to-Clean Woven Textilene Cover. No more washer or dryers to clean beds. Woven, vinyl-coated polyester fabric is breathable, will not puddle water and dries quickly and odor-free. It is the favorite choice for Home Use, Doggie Daycares, Kennels, Vet facilities and hospitals due to cleaning ease (with a cloth or hose with soap and water, or safe disinfectant). 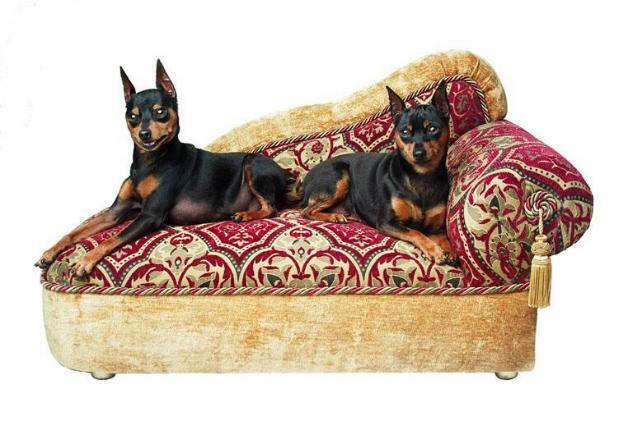 Durable and breathable, it provides dogs with a healthy, cool environment. We also carry a Cordura nylon canvas cover which is a strong and tough fabric popular for diggers and chewers. Please specify color selection upon checkout.